In a pool of numerous shopping portals there are only a few that make their mark. 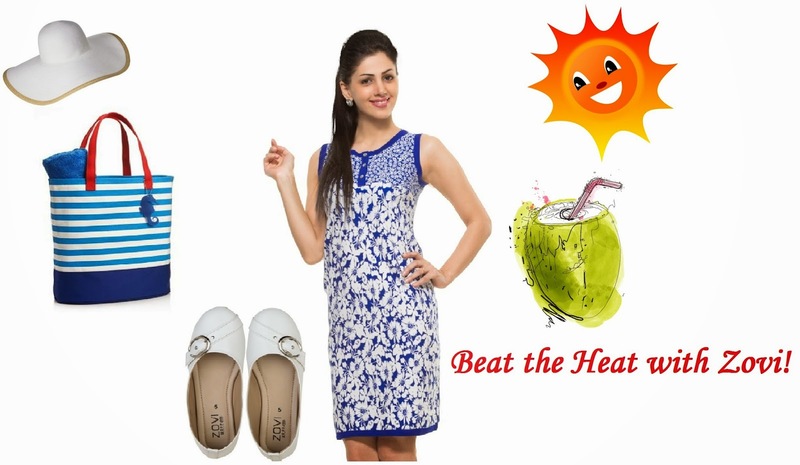 Zovi is one such name that promises to bring affordable fashion to the doorsteps of fashionistas, because they believe that high quality apparel and accessories need not cost a bomb. And this simple idea gave birth to Zovi where high quality lifestyle apparel are manufactured locally so as to make them available at extremely reasonable prices. Offering fashionable stuff for both men and women, Zovi brings you the latest trends at a fraction of their latest prices. And this is exactly what makes them popular with their patrons. 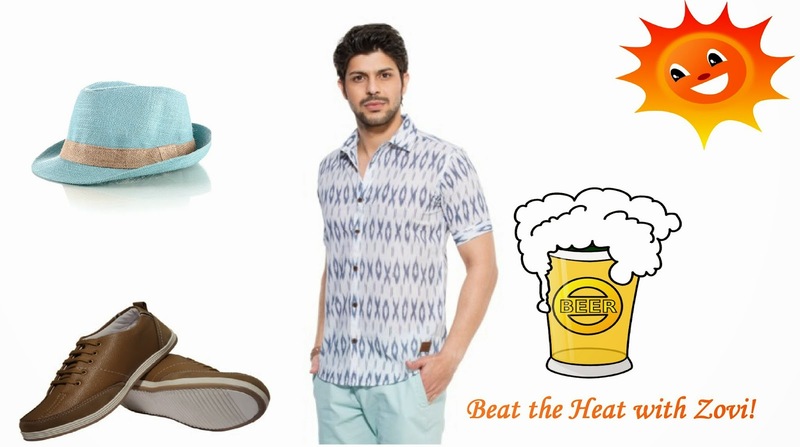 With the Mumbai summer almost killing me, I was looking to shop for some summer clothes and Zovi provided me with options that were not just 'bang-on' on the fashion meter, but also on the function and affordability meter. I was so impressed with the collection that I started putting looks together with their awesome stuff. Here are the two looks I created. A cool look apt for grocery shopping on Sunday mornings. A cool look for for some bowling and beer session with the Boys. When my order arrived from Zovi, it was neatly packaged and delivered within two days of placing the order. The footwear that I had ordered for was a size bigger for me, so I had to initiate a return procedure. As far as I am concerned, the return procedure of online shopping portals really drives me crazy. And that is why I restrict my online shopping to limited items only. But the good people at Zovi took care of this my return procedure so professionally that i was more than impressed. From arranging a pick up of my replacement order to placing the new one, Zovi took care of the entire procedure in a hassle free manner. They were in touch with me continuously via email and phone, making sure everything was going according to my plan. My footwear arrived in another two days and they fit me perfectly. My MIL was so impressed with the quality of my footwear and was shocked when I told her the price for which they were bought. Overall, I was more than happy with my experience with Zovi and I recommend buing from them at least once to experience their professionalism. A Royal Touch with Confusion FA and a Giveaway!